So much has changed in Blackburn in the last 50 years or so that parts of the town are almost unrecognisable from the place in which many of us grew up. Fortunately, a handful of cine and video enthusiasts took the time to film Blackburn before its transformation. This engaging journey through time is produced exclusively for the Telegraph and is narrated by Lancashire’s own, Matt Abbott. So much has changed in Blackburn in the last 50 years or so that parts of the town are almost unrecognisable from the place in which many of us grew up. Fortunately, a handful of cine and video enthusiasts took the time to film Blackburn before its transformation. 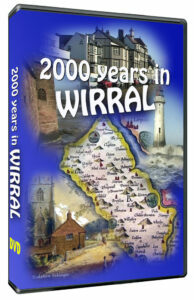 Their unique footage captures views of the old town that are now consigned to history; it records many of the changes as they happened; and it brings to life some of the memorable events of the 20th century. 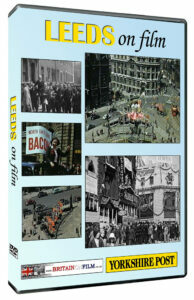 Among many events shown in the DVD are the return of the Rovers with the cup in 1928; one of the last Easter Fairs held in the old Market Place; the Charter Centenary celebrations in 1951; the Queen’s visit in 1955; and demolition of the Market House Clock Tower in 1964. We also see many fascinating scenes of everyday life in Blackburn from the 1920s to the 1960s. These evocative films will bring memories flooding back for anyone who remembers the Blackburn of old. 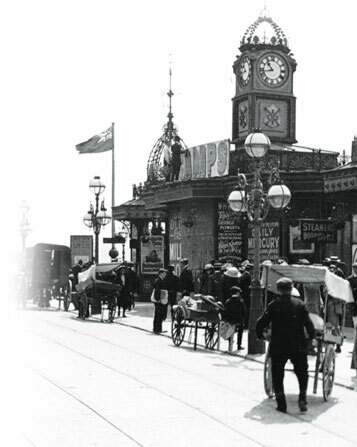 The events shown in the film are described using eyewitness reports from the archives of the Lancashire Telegraph and the Blackburn Herald.